Audiological Services, established in January, 1995, is owned and operated by Sally E. Muhlbach, AuD, a university trained doctor of audiology who is board certified in audiology and a Fellow of the American Academy of Audiology. Audiological Services is committed to providing personalized hearing health care with integrity and innovative hearing solutions. Our staff strives to increase public awareness regarding the early identification, treatment and rehabilitation options for hearing loss. 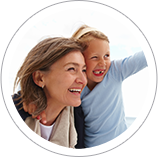 Regardless of age, no hearing impairment is insignificant, and all warrant hearing management. It's a fact of life: At some point, most of us will experience hearing loss; however, it takes most people an average of seven years to do something about it. "This means the only thing standing between you and the chance to improve your hearing and your quality of life is YOU!" 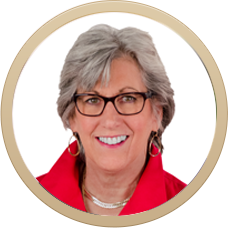 Dr. Sally E. Muhlbach can help you recapture the sounds you've been missing. She has years of advanced education and training in many areas relating to hearing science, so you know you will receive the high level of hearing health care you can trust. Equally important, Dr. Muhlbach understands the value of honesty and integrity with personalized care, the cornerstone of the practice. Hearing loss is a problem shared by many. For millions, correctly fitted hearing devices can be the answer to their hearing problem. The right hearing instruments can eliminate or greatly reduce the difficulties and frustration associated with hearing loss by restoring one's ability to hear family and friends. 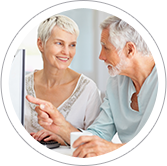 Complete audiological evaluations and hearing aid services are available at our office. The hearing evaluation includes a comprehensive audiological assessment to determine the underlying cause and severity of one's hearing loss. If a medical condition is identified as the cause of the hearing loss, appropriate referrals will be made. 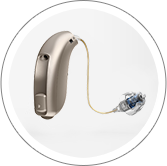 All who purchase hearing devices in the State of Texas are granted a 30-day satisfaction period. During that time, patients will be seen on a consistent basis to ensure the hearing instruments are meeting their hearing needs. In the rare event that one may choose to return the hearing devices, a full refund will be paid on return. If you or your family members have concerns about hearing loss, call and schedule an appointment for an audiological evaluation. Hearing is a precious gift; call today for a better tomorrow.